When Diego was a preschool teacher, he would dress well everyday so his students felt more comfortable in their uniforms. Realizing the positive impact his fashion had on the students, he decided to learn more about menswear past and present. Soon he was inspired to influence the future of menswear as well. His fashionable reputation grew as he started documenting his style. That led him to dress well not only in his professional life but in his social life, too. 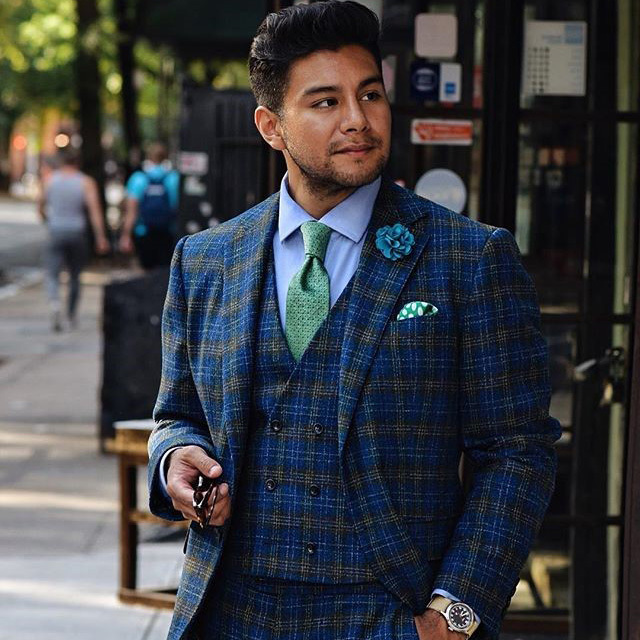 Dandy in the Bronx was born soon after and Diego decided to pursue this passion full-time. Dandy In The Bronx attaches his work to brands and causes that he believes in. A storyteller at heart, Diego is interested in the narratives behind those brands and causes. With an emphasis on mission and a connection to historically underserved groups, he has collaborated with groups as diverse as Timberland, St Jude Children’s Research Hospital, Estilo Clasico, Old Navy, the Bronx Narrative, HP Computers, KK & Jay Supply Co. and more. Diego was born in the Bronx, raised in the Bronx, and devotes much of his time to supporting causes and businesses in the Bronx. He aims to put the power to positively change the Bronx in the hands of those who live and are from there. Dandy In The Bronx is a sponsor of Artsmith and the First Annual Artsmith T-Shirt Design Contest.